the leading provider of secure self-storage across East Anglia. 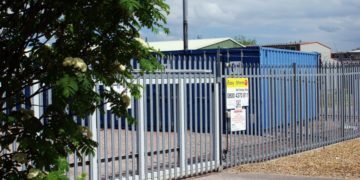 We operate two individual Easy Store 24/7 sites in Norwich. In close proximity to the city centre, and with excellent main road access, they are both easily reached from wherever you are in Norwich and the surrounding area. 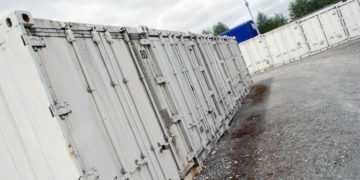 Our Norwich sites have nearly 200 units between them, offering fantastic self-storage opportunities at the very heart of East Anglia. Simply lock and go, that’s how easy it is. No waiting for opening times or appointments - you are in control of your own unit. Only the customer has the key, nobody can see inside or gain access to your unit. Easy Store 24/7 gives you total convenience without any hidden charges, the price quoted is the price you pay. Easy Store 24/7 gives you peace of mind at affordable prices. Rent by the month with no obligation to a long-term commitment. All we require is a month's payment in advance and £100.00 deposit (refunded when the unit is off-hired and keys are returned). We only charge for the days you've used once the keys are returned. We’re a Saint Vincent Holdings Group company. As a Saint Vincent Holdings Group company, Eastern Hardware forms just one part of an organisation that for nearly half a century has led the way in new and used truck and van sales, commercial vehicle hire, commercial property, sheet metal manufacture, precision & heavy engineering and much more besides. Copyright © 2018 Easystore 24/7. All rights reserved.